We reached our goal on PledgeMusic for the WARRIORS project. Thank you so much to everyone who pledged!!!! Previous Previous post: Today’s the day!!! 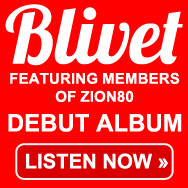 Next Next post: Zion80 on Vinyl??! ?